Does the spirit molecule, DMT protect the brain? Campaign Complete. This project has ended on November 4, 2015. No more contributions can be made. All funds will be collected by November 4, 2015. 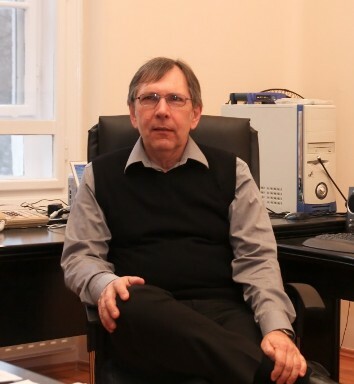 Ede Frecska is the Chairman of Psychiatry at the University of Debrecen in Hungary. He is a qualified psychiatrist and psychopharmacologist of international merit with 17 years of clinical and research experience in the United States. Ede has published his results on the effect of ayahuasca on creativity, aggressive behavior, and binocular rivalry. The most recent findings of his team are about the immunological effects of DMT. Ede also co-authored Rick Strassman's book entitled "Inner Paths to Outer Space"
Online Seminar on DMT - We will host a seminar online and tell you about our research so far and you can ask us questions. We want it to be as interactive as possible so we would love to hear about your experiences too. Early Bird Spirit Molecule T-Shirt - Check out our 100% cotton T-shirt design, with the "DMT for CPR" logo. Our perk contains one t-shirt, choose either black or white (we will collect this information at the end of the campaign). Spirit Molecule T-Shirt - Check out our 100% cotton T-shirt design, with the "DMT for CPR" logo. Our perk contains one t-shirt, choose either black or white (we will collect this information at the end of the campaign). 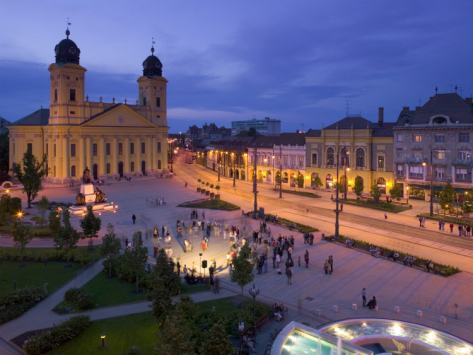 Dinner with the team - We love eating out and Hungary has some really nice places to dine. If you pledge £500 we will meet you in Hungary and tell you all about our research and spend the evening with you pondering other potential avenues of exploration for the DMT. How could DMT be of use to Medicine? There are many ways that DMT may be useful to modern medicine, the core of the present proposal is an assumption that one of the physiological roles of endogenous DMT (thats right DMT that occurs naturally in the body) is its protection against hypoxia or lack of oxygen. In hospital, hypoxia occurs in patients who come very close to dying. If a patient’s heart has stopped beating and blood is no longer being pumped to the brain, the brain becomes starved of oxygen and this can lead to brain damage. This scenario is most common when patients experience a heart attack or heart failure, usually these patients are elderly, however this can also happen in babies if the umbilical cord is trapped around the babies neck. When oxygen is not reaching the brain the clock starts ticking and the longer the brain is starved of oxygen, the greater the chance and extent of brain damage. Our hypothesis is that DMT can extend the amount of time that the brain can survive unscathed in the absence of a steady stream of oxygen. We have already conducted research on DMT and immunology, which has shown a protective effect of DMT on cells. If our hypothesis is correct, the impact could be huge. However, first we need to do the basic research to test the effect of DMT on neuronal tissue. 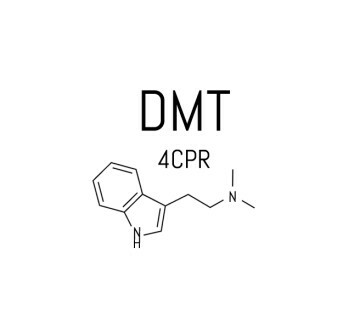 This is the DMT molecule. 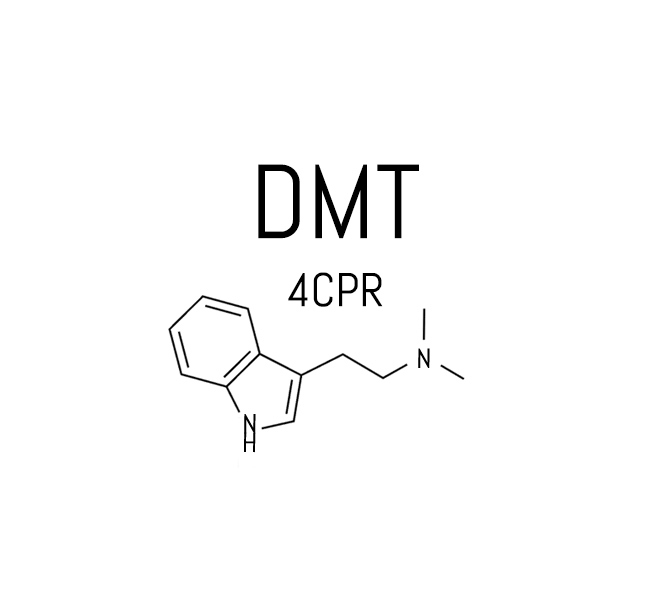 We have added “for CPR” as if our hypothesis is correct DMT could be used during CPR to protect the brain when the heart has stopped and there is not enough oxygen reaching the brain. DMT is an endo-hallucinogen, this means that our body is able to make it. DMT is a trace amine, which means it is present in very tiny amounts compared to other amines such as monoamine oxidase (MOA) and serotonin. In most circumstances it is barely detectable, however we predict that it is released in special circumstances. In 1961, Julius Axelrod discovered an enzyme that could change the common amine tryptamine into DMT. This finding provoked a still ongoing interest in the ability of mammalian tissue to make DMT. The lungs, because of their size and central role in circulation are in an ideal position to flood the brain with DMT in an emergency scenario. Further investigation into DMT and the brain revealed that the brain has an active uptake mechanism that helps DMT through three barriers and DMT, when taken up is stored in little sacs (vesicles) for up to a week. This poses the question, why would the brain store DMT if it does not use it? Research has also shown that a specific receptor called the Sigma 1 Receptor plays a protective role in hypoxia and that DMT is one of the few endogenous amines that binds to this receptor. The final piece of information that leads us to believe that DMT is important in the brain during death is because many of the symptoms people describe such as seeing a light, a review of past events with moral charge and entities appearing is very similar to the experiences people have on DMT. Research has also suggested that DMT may be involved in the birth process due to a high presence of the IMNT gene (which has the potential to make DMT) in the placenta. To test our hypothesis, the first experimental step towards this goal involves neuronal tissue cultures exposed to hypoxic (low oxygen) condition. We will conduct these studies in the lab, replicating the stress neurones undergo with a lack of oxygen and testing the effect DMT has on the neurones under these conditions. If our hypothesis is correct we will then be in a better position to extend our research from testing DMT on tissue samples in the lab to testing the drug in real patients. What do you think the results may show? We don’t know for sure yet, however if our hypothesis is correct the impact of this research could be huge! Not only will we have demonstrated a potential clinical use for DMT, we could be changing the lives of people who survive strokes and heart attacks, recover from deep coma and live to tell the tale. If the treatment works, patients who experience a lack of oxygen to the brain following a medical emergency could be saved from brain damage. We will not be proceeding to human studies until we have got supporting basic data and obtained ethical approval. The ultimate goal (our dream) is to have DMT ampoules for intravenous use on the crash carts of emergency vehicles, intensive care units and operating rooms and that these ampoules save hundreds of thousands of patients from brain damage. However, we are still in the basic research phase and if you support this study you will be helping us take the very first steps into testing whether our dream could one day be a reality. The way DMT works in the body strongly suggests that it could help our most precious organ, the brain, in times of hypoxia. Sadly, many of you will witness your loved ones having a heart attack, suffering a stroke or laying in a coma after an accident. On a daily basis doctors experience saving the lives of patients in the knowledge that had they had tools to prevent hypoxia to the brain that patients’ outcomes would have been much better. Even if there is a small chance that DMT could help with hypoxia, we should test it and that is why you should support this research. It is incredibly hard to secure funding for research into any Schedule 1 drug, yet these drugs, because of their activity on the brain, are excellent candidates for therapy that involves the brain. What is the blood brain barrier and why is it important in this scenario? The blood brain barrier protects the brain from unwanted molecules entering it. Many molecules are too large to enter the brain and this makes it hard to make drugs that can penetrate the brain. This is a particular problem for any therapy targeting the brain. If the molecules we know about that can enter the brain also have the potential to help protect it (as shown in immunology and DMT studies) we should certainly investigate them. We are a group of basic and clinical researchers who follow the line of investigation started by Stephen Szara’s groundbreaking clinical studies with DMT. We are among the first scientists who broke away of the mainstream scientific view of DMT as a psychopathological agent and proposed a somatophysiological role for this endogenous tryptamine, which is naturally occurring in the body. Our main belief is that DMT is involved in the healing and regeneration of cells, it helps the body to survive extreme stress such as that which occurs during clinical death. Our group has already provided experimental support of this concept in the field of immunology, which you can read about at the bottom of this campaign. Attila Szabo is a research fellow and faculty member at the Department of Immunology, Faculty of Medicine, University of Debrecen, Hungary. His research interests involve molecular innate immune signaling, biology of inflammation, and psychopharmacology. His current research focuses on serotonin and sigma receptors, their biological activity and modulatory role on immune responses and on various cellular functions. “Why does the human body and brain make DMT? No one really knows, but it must have a function or more likely multiple functions. 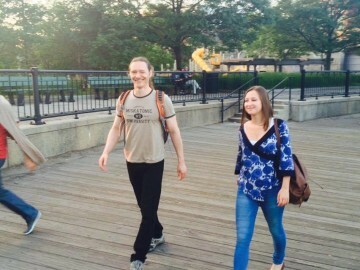 Dr. Frecska and his colleagues are on the absolute cutting edge of efforts to understand those functions in depth. Their study will focus on DMT’s possible role as an antihypoxic agent in clinical death. The implications of this research, if their hypotheses holds up, are enormous. I strongly urge you to contribute generously to their Indiegogo campaign. This is about an attempt to answer some of the most fundamental questions of the human brain, mind, and spirit. Watch the video and scroll down for a pretty good picture of their research and the questions they are exploring. And then give what you can. “Dr. Frecska and his team are doing incredibly important work with DMT, one of the most interesting molecules known to science. Their work goes beyond the psychedelic effects of DMT into the mysteries of its endogenous production in the human body and it’s potential role in saving life during the crucial moments in the emergency room before reversible ‘clinical death’ become irreversible terminal death. Here is Graham Hancock’s banned TED talk, very interesting!! 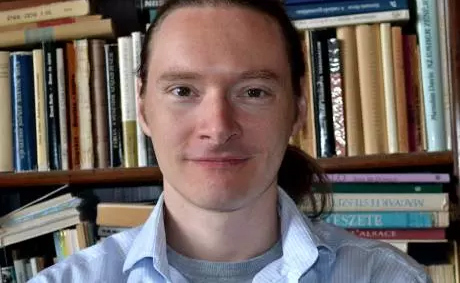 “This DMT study by Ede Frecska and Attila Szabo may be an important step in overcoming prejudices constructed on poor ground, showing that traditional sacred medicines may act simultaneously on many levels. This project deserves attention and support from the large community of people who have been touched by the mystery of these medicines. Our gifts for your support! This will be delivered to your door and signed by the team with a personal message thanking you for supporting our research. We will host a seminar online and tell you about our research so far and you can ask us questions. We want it to be as interactive as possible so we would love to hear about your experiences too. Pledge £25 – Early Bird Spirit Molecule T-Shirt! 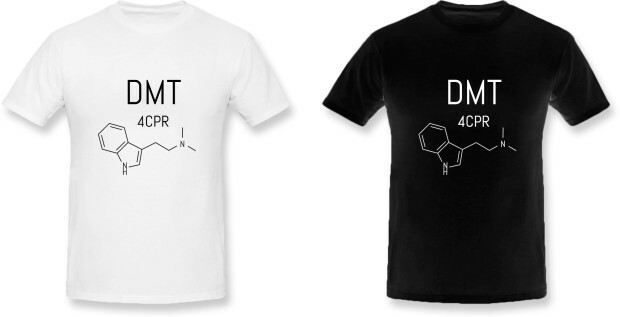 Check out our 100% cotton T-shirt design, with the “DMT for CPR” logo. Our perk contains one t-shirt, you choose either black or white or pledge twice for both! We feel privileged that Anderson has given us permission to offer his artwork as a gift to supporters of our research. Anderson Debernardi is a resident citizen of Peru and in recent years has become one of the most prolific rainforest visionary artists in the region. He currently lives in Lima, but spent many years in Pucallpa and Iquitos including his time at the Usko Ayar Amazonian School of Painting which was founded by Pablo Amaringo and Professor Luis Eduardo Luna. Anderson is a strong advocate for the preservation of the rainforest and sees the medicinal and visionary plants as a gift from nature. He hopes to see culture evolve to the point at which there forest is not merely seen as land to be “developed”, but rather as a sacred resource that must be protected. This beautiful piece is called “Sinfonía Chamánica” and will be limited to 100 prints which will be numbered and stamped on the back with the campaign logo DMT for CPR. 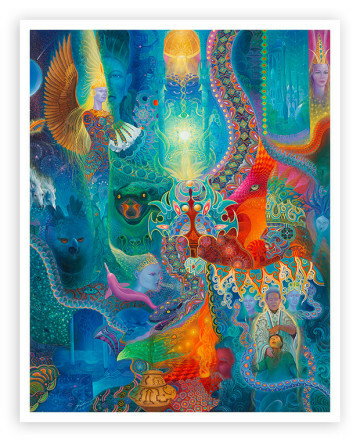 This image is inspired by the visions that people experience following taking DMT or ayahuasca. They often see unusual creatures and entities as illustrated in this stunning image. Our city Debreccen is an fabulous place to visit and we would love to show you around. If you pledge £500 we (Ede and Atilla) will invite you and a plus one for a meal in our city. At the dinner we tell you all about our research and spend the evening with you pondering potential avenues of exploration for the fabulous DMT molecule. DMT is the commonly used short name for the “spirit molecule” dimethyltryptamine, a hallucinogenic drug that is the active ingredient of ayahuasca, otherwise known as the spirit vine. The human body makes its own version of DMT, however, the concentrations that the brain is exposed to during spiritual use are much higher than those that occur naturally. 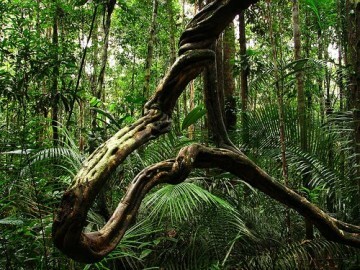 Amazonian tribes refer to ayahuasca as the spirit vine and believe that the vine gives them more wisdom and deeply connects them with nature. The drug ayahuasca is growing in popularity from Western tourists seeking treatment for conditions such as depression and addiction or simply wanting a spiritual experience. Currently the drug is classified as Schedule 1 which means that in the eyes of the law it has no medicinal benefit but our team based in Hungary has a different opinion. We hope you are as curious about dmt as we are and if so please support our research! I know the campaign expired, but I would love to still contribute. Possibly get my hands on a print! Let me know where I can! Hi James, we’ll send you an email. This shouldn’t be a problem. I drank ayahuasca several times and have my particular opinion about DMT playing in all body. I hope big success in all Walacea works.